Note: This article contains disturbing content and profane language. Reader discretion is advised. Assertions about Greg Locke’s behavior are based upon the testimony of those interviewed. Many evangelicals are indeed willing to look past the President’s moral failings. Greg Locke told CNN that he believes Trump “gives evangelicals a platform” and that “with a lot of evangelicals, it’s not just blind followship but it’s the end justifies the means.” It is often said that Christians vote for a president-in-chief and not a pastor-in-chief at the polls. According to such a mindset, since Donald Trump best represents the values of evangelicals in his governing polices, he is worthy of support at the polls even if he doesn’t himself represent or live by the moral values of evangelicals. A pastor would be expected to do so, but not the President. Greg Locke is a pastor, albeit a self-appointed one. Like Donald Trump, he is an American success story. He has emerged from financial hardships to found a successful revenue-generating organization, Global Vision Bible Church. Locke and his Executive Pastor Jarrod Almond run GVBC without the oversight of a board of elders, deacons, or congregational votes. Like Trump, Locke is politically incorrect and social media savvy and has managed to build a large social media following. His Facebook page has over one million likes; he receives donations from all around the country. He tells conservative evangelicals what they want to hear, without any fear of controversy. He also tells the media his version of the evangelical story. The state of Tennessee and its evangelicals were of special interest to Alex Marquardt. Tennessee is a deeply evangelical state and is home to the headquarters of both the Southern Baptist Convention and the Church of God. Evangelicals are not hard to find there. Alex Marquardt found Greg Locke, whose small church is not connected with any of the state’s major denominations. Greg Locke, who has been no stranger to print and video news media, was perfectly happy to host CNN at GVBC. Whereas other churches and pastors may have been hesitant to host a news crew to talk about politics, Greg Locke welcomed the opportunity to mix politics and religion. Despite the controversy surrounding Locke and his pending divorce, CNN made the trip to Mt. Juliet and interviewed Greg Locke. On March 3rd, I sat down with Greg Locke’s estranged wife Melissa at a Georgia restaurant. Surrounded by her employer and the caretakers of the women’s shelter at which she now resides, Melissa Locke tearfully told me her story. 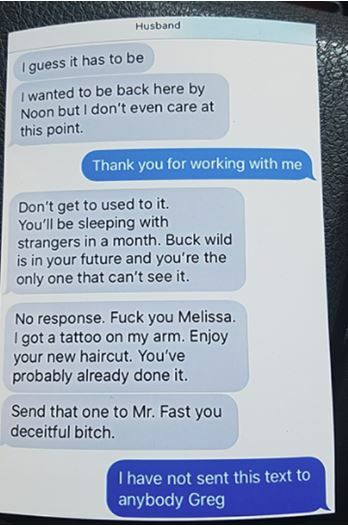 She and her caretakers also showed me hundreds of text messages between Greg and Melissa. 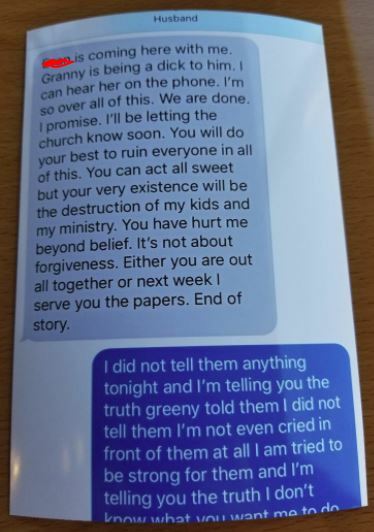 The vitriol with which Greg Locke addressed his wife of 20 years in those text messages is unbecoming of any man, especially a Christian pastor. 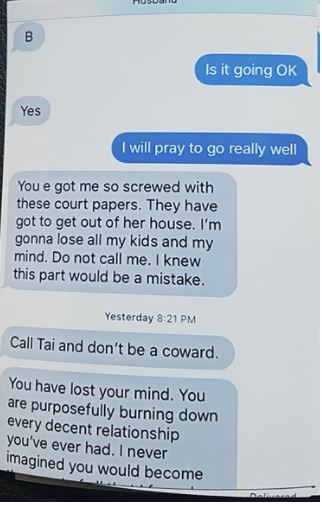 Melissa revealed to me that Greg Locke has adulterous plans for his church secretary, Tai McGee, Melissa’s best friend. Locke has filed for divorce from his wife and plans to begin a romantic relationship with Tai once their divorce is final. Additionally Locke, during periods of losing his temper, has physically abused Melissa. For three months, Bruce watched as Greg Locke preached to the GVBC congregation and his throngs of internet fans. For three months, Bruce watched as Greg Locke’s wife rode in the back of his van with him on the way to church, Locke’s followers unaware of what he was putting his wife through. Bruce is on the Board of Directors of the Georgia women’s shelter where Melissa Locke has been living since she fled Tennessee. He and his co-laborers at the shelter have seen their fair share of battered, abused, and downright damaged women. Melissa Locke is a special case, though no more or less important than the other women he’s helped, in that her husband is a nationally famous pastor who has preached everywhere from Ken Hamm’s Ark Encounter to in front of the cameras of CNN. The text messages Bruce had seen from Greg to Melissa weighed heavily upon his heart. Bruce wondered if Locke’s millions of followers would view him as such a fine pastor if they knew what he had done to his wife and how he had talked to her. These text messages were provided to me. I read them with disgust. 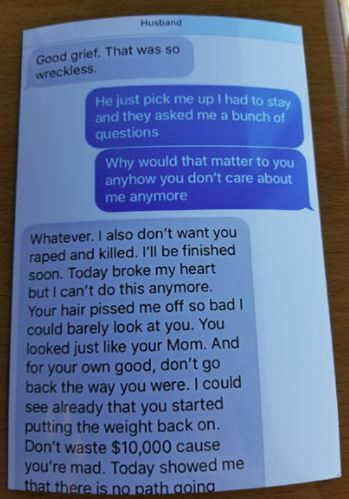 In his texts, some of which were sent to a phone provided to Melissa by GVBC, Locke belittles and verbally abuses the woman who has stood by him for two decades. Melissa Locke has an aversion to tattoos. Greg Locke now has two. Locke tells his wife “f#&k you.” Mr. Fast was an elder at GVBC. Greg Locke calls his wife a “selfish b#&!h”. Although his children are on Tenncare, Tennesse’s Medicaid plan, Greg Locke spent $10,000 on weight loss surgery for his wife and put her on a workout plan. He shames his wife for apparently gaining weight back. Greg Locke leaves his wife without a ride from the attorney’s office and chastises her about her hair. Locke calls his mom a pejorative and threatens his wife with being served papers. In his profane diatribe, he blames his wife for putting his ministry at risk. “If it wasn’t for the ministry, I’d divorce you before sun-up,” Greg Locke told his wife on the phone. It was midnight and Locke had left his house to get away from a heated marital quarrel. He stayed the night at GVBC. When morning came, he had more hard words for his wife, “You know Melissa, I just don’t want you anymore. I don’t care if you die and we have a funeral. I’ll just shed a few tears over you. I don’t care if you take all the pills in the house, I just want you not in my life.” Shortly thereafter, Melissa Locke left her home in Mt. Juliet to stay with a family friend in Murfreesboro. That is the account as told to me, through tears, by Melissa Locke. The rejection of her husband, not only of their marriage but of her very living, was too much to bear. Greg Locke’s abandonment narrative has unraveled and his own actions prove the condition of his heart. Melissa’s caretakers are disgusted with Greg. I sat at the table with them while I interviewed Melissa. They have been appalled at his actions. Melissa has spent a total of seventeen days in the hospital with chest pains after receiving the harshest of contact from Greg. 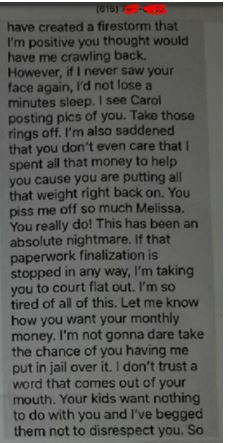 Greg has ordered Melissa to remove her wedding ring. This is not a “Charles Stanley” being abandoned. Greg Locke is a man who, if his statement to the Christian Post is to believed, considers his wife to be mentally ill. Yet, ignoring any “in sickness and in health” marriage vows he may have taken, has brought a divorce suit against his wife in the Wilson County, Tennessee court system. He has also shown disregard for the marriage vows of Tai McGee, whose marriage ceremony he himself officiated. During our interview, Melissa Locke informed me that Greg has told her, “As soon as the divorce is final, (Tai and I) are getting together. We see each other at work, at church, and most evening for dinner. You know Melissa I hope somebody else loves you because it will never be me.” Charles Stanley was allowed by wise church to stay in the Pulpit with the understanding that he would never again marry. Greg Locke already has romantic plans for his church secretary. Greg Locke is not a one woman man. God’s word requires that pastor be one. 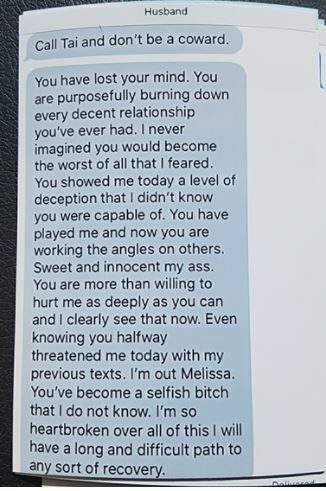 Melissa tries to reconcile; indicates Greg sent her away. Throughout our interview Melissa Locke acknowledged, almost to a fault, her own shortcomings. 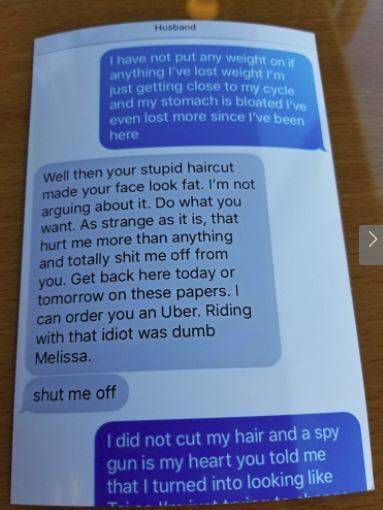 In all the texts that I reviewed, I never once saw Melissa return insult for insult. She constantly expressed her love for Greg. She was apologetic for her shortcomings and again and again expressed her desire for marital reconciliation. The same can’t be said for her husband. While Melissa seeks reconciliation, going as far as to rescind her filing for divorce, Greg has shown no desire to get back together. Greg filed for divorce himself when his plans to coerce his wife in taking action to end the marriage failed. Yet, his wife is still willing to forgive and reconcile. Ironically, Melissa Locke is showing the kind of forbearance that Paul exhorts husbands to show their wives in Ephesians 5. Her husband, though he is a pastor, is demonstrating a vitriolic hardheartedness that is cause to doubt his very salvation. Unfortunately, this kind of attitude is nothing rare in estranged couples. Lots of men do this. So, why make such an issue out of the Locke’s story? Greg Locke is an American pastor. In the United States, the people are blessed with the right to exercise their religion freely. However, there is no government oversight to stop unqualified and even unsaved men from manning a pulpit in the name of Christ and calling themselves “pastor.” Since Greg Locke’s church is an independent Bible church (founded by him), there is no conference, presbytery, or synod to remove him. There is not even a Baptist denominational association to censure him and disfellowship GVBC. Locke’s right hand man, GVBC Executive Pastor Jarrod Almond was described by Melissa as “evil.” He is standing by Greg’s side and recently purchased new cars through the church for he and Greg to drive. The congregants of GVBC itself cannot vote out either Greg or Jarrod. Like many American entrepreneurs, Greg Locke has created for himself a self-built brand. Unlike those in business, however, Greg Locke is essentially unregulated. A doctor who committed malpractice would lose his license. A lawyer who failed to advocate for his clients would be disbarred. Greg Locke can fail to tend to the sheep of his flock, put his wife away, take up with his secretary, and still be the face of evangelicalism to every American watching CNN. This cannot stand. Greg Locke cannot be the poster boy for Christ’s church. His behavior as a pastor has brought reproach to the body of Christ. It is the body of Christ, not outsiders and skeptics, who must stand up for the truth, call for reconciliation, and bathe the afflicted in prayer. If Greg Locke is to continue to have a local congregation and millions of Facebook followers, let it be known to them who they are following. They are following a “pastor” who spits in his wife’s face, fat shames her, cusses her, and initiates a divorce from her so that he can date his secretary. He is currently enabled by a staff willing to work for him, a congregation willing to continue to sit under his preaching, and a social media following willing to donate to him. If you are one of these people, it’s time for you to decide whether or not you believe in the standard of the Bible or the standards of Greg Locke. Perhaps Greg can be a leader by the world’s standards but his unrepentant behavior has no place in the kingdom of God. Grace, mercy, and forgiveness, however, do. Some of the people reading this article know they are, deep down, no less sinful than Greg Locke. Those people need to know that Jesus Christ can save them from their sins. He bled and died on a Roman cross so sinners could be reconciled to God. By repenting of your sins and asking Christ to be your savior, you can be reconciled with God. You can have fellowship with Jesus Christ and his church. That’s real. Maybe some pastors on TV and the internet aren’t, but the gospel is and it is the power to save for anyone who believes it. Don’t let Greg Locke, seeker of internet fame and his church secretary be the image of Christ’s church in your mind. Rather, let the example of the brothers and sisters who have come behind his wife to give her shelter, love, and care show you that the hands of Christ are quick to hold up those in need and the feet of Christ are quick to run to those in need. Jesus will never leave or forsake his bride. Pray for Greg Locke. Pray for Melissa Locke. Pray for the sheep without a shepherd at Global Vision Bible Church. Finally, praise God, who works all things out according to the good of those who love Him. **An earlier version of the article indicated that the phone Greg Locke destroyed was church property. Melissa Locke has clarifed the destroyed phone was not church property. The phone that was given to her to replace that phone was. Greg Locke has since confiscated that phone. Mrs. Locke also clarified that Greg had struck her and punched holes in their wall but not thrown her into wall. ***When reached via phone, Greg Locke confirmed that the text messages included in this story were indeed those of him and his wife. He further stated that his wife had not said anything about physical absuse prior to this story. He also that his wife previously denied that he and his secretary were in a Romantic relationship.